Manchester Airport Train Station is the starting point of many Trans Pennine Express trains that that travel to, many destinations across the North of England and Scotland. 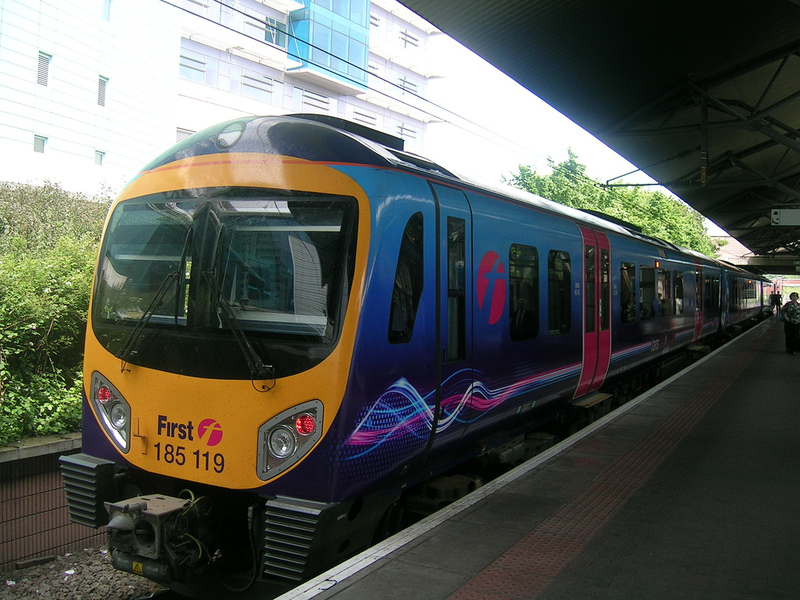 It is also calling point for many local trains run by Northern Rail. The station has a number of platforms and is easily accessible from all of the 3 main terminals. Follow the signs from flight arrivals and the train station is only a short walk away, there is also a shuttle bus operating across the airport site linking the train, bus and metro link station with the terminals. There is a ticket office and a number of self service ticket machines available within the main station foyer. The platforms are then easily accessible via escalators, lift and a walkway. On the station platform there is a coffee shop, waiting room and ample seating for those waiting for a train to Manchester or beyond. Manchester Airport Train Station makes the airport so accessible from all over the area and beyond and helps make it one of the most easy to get to in England. Newcastle, Edinburgh and Glasgow are only 2-3 hours away by train and passengers arrive in to the herat of the airport complex.